Sometimes a plan comes together. That was the case for Iron Mountain in 2017, as the company expanded its data center presence by both buying and building space. The company started the year with three data centers – underground facilities near Pittsburgh and Kansas City, and another in the Boston region – and a growing business in the government and enterprise sector. Iron Mountain closed the year with a flourish, announcing three acquisitions and opening a new data center campus in a five-month period. On July 28, Iron Mountain announced the acquisition of FORTRUST for $128 million. The deal added a 210,000 square foot data center in Denver, 9 megawatts (MW) of existing data center capacity and expansion space for an additional 7 MW. On Sept. 18 the company opened the doors on the $80 million first phase of its new data center campus in Manassas, Virginia. The VA-1 data center is a down payment on a larger commitment to the Northern Virginia market, where Iron Mountain plans to build four facilities totaling $350 million in investment. On Oct. 6, Iron Mountain agreed to buy two data centers from Credit Suisse through a sale-leaseback transaction in which the bank will stay on as an anchor tenant, and Iron Mountain will have the ability to lease the 10 MW of surplus space to other tenants. On Dec. 11, the company said it will buy IO Data Centers for $1.3 billion, The deal includes data centers in Phoenix, Scottsdale, Edison, N.J. and Columbus, Ohio spanning 728,000 square feet of space and 62 megawatts (MW) of capacity. The IO footprint includes the potential to add another 77 megawatts of space in Phoenix and New Jersey. Kidd says the flurry of activity was the result of careful planning and a methodical approach to adding capacity in strategic data center markets. In an M&A landscape with plenty of assets available, Iron Mountain approached its expansion with a clear sense of the type of deals it would consider. One of the companies on Iron Mountain’s radar screen was IO, which began reviewing its strategic options in early 2017. The Wall Street Journal reported on the sale process in March, saying IO was seeking a valuation around $1.1 billion. But no sale materialized, and IO began focusing on the future, laying the groundwork for a major expansion project in Phoenix. One reason was that IO had a presence in several of the markets on Iron Mountain’s radar screen. Kidd noted IO’s solid base of government customers, as well as Schedule 70 status with the General Services Administration (GSA), which simplifies the process of competing for work with government agencies. Schedule 70 status signifies that the GSA has determined a vendor offers fair pricing and is in compliance with laws and regulations for government contracts. 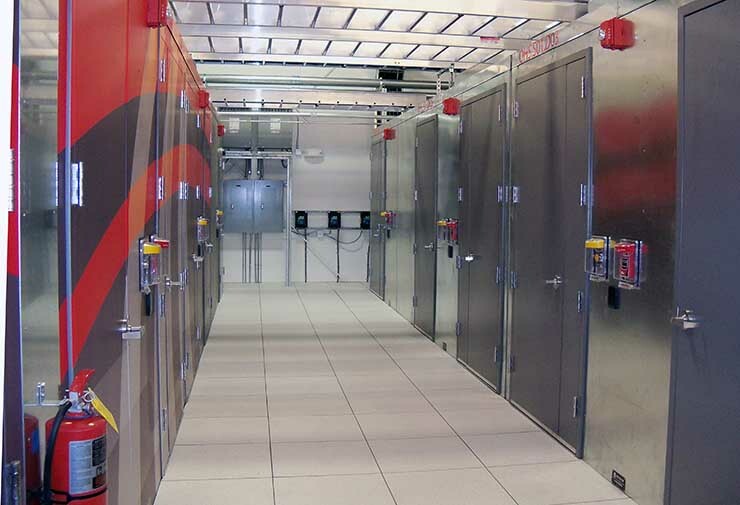 IO has been a pioneer in the market for modular data centers. In 2008, IO created an internal division to develop hardware and software products to support its expanding footprint. 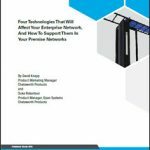 These pre-fabricated products have evolved rapidly, offering flexible designs that can create an enclosed data hall that looks and feels like traditional data center space. In 2014, IO spun off BASELAYER to handle global sales of module data centers (BASELAYER Anywhere) and infrastructure management software (BASELAYER RunSmart OS) to large enterprises. IO continues to focus on its core colocation business and buy modules from BASELAYER to deploy customers, as did FORTRUST. With the acquisition of IO and FORTRUST, Iron Mountain inherits a significant footprint of customers deployed in modules. 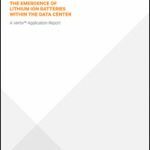 Does this reflect a particular philosophy on the best way to deploy data center space? Kidd noted that Iron Mountain deploys customers on a slab floor in its underground data center near Pittsburgh, and in a raised-floor environment in Virginia and Massachusetts. He also noted that about 50 percent of IO’s capacity was deployed in a traditional raised floor, including the entire Scottsdale data center and the first half of IO Phoenix. One of the things Iron Mountain is seeking in its acquisitions is the ability to add capacity. IO has gained approvals from Phoenix officials to build a 500,000 square foot data center on an 11-acre site next to its IO Phoenix campus. IO had envisioned the project as a three-story building optimized for modular deployments, with a rooftop equipment yard and large elevator to raise modules to the upper floors. Iron Mountain also hopes to close the Credit Suisse sale-leaseback deals next month, and expects to continue to develop its Manassass campus in 2018.